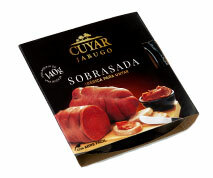 Product made with the Iberian pork panceta (bacon cut) and meat. 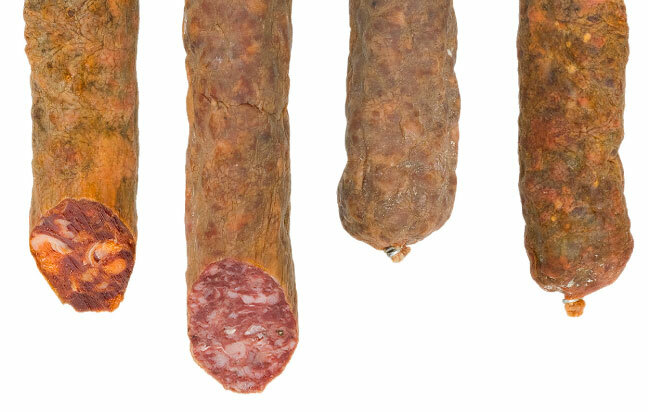 Free of preservatives and naturally cured in casing in the pure style of our uplands where it attains its delicate aroma and authentic traditional flavour. 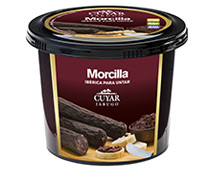 Our best Iberian pork morcillas (blood sausage) are made with ingredients from black Iberian pigs as befits CUYAR, a traditional brand in the uplands of Huelva, and are cured naturally here in Jabugo. 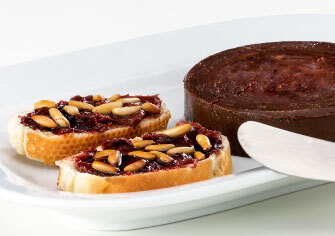 Mild tasting and very easily spread. 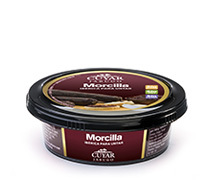 Exquisite, convenient and practical. 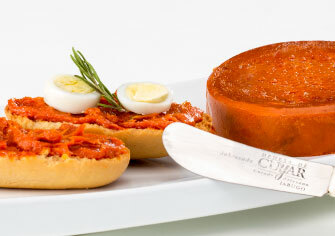 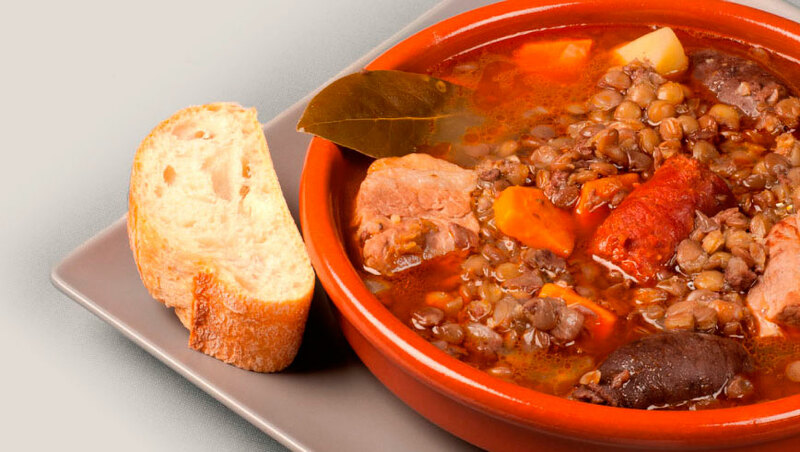 Ideal on bread, toast and in sandwiches or for all kinds of tapas and dishes. 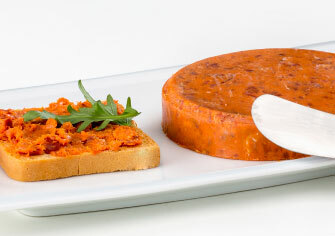 As cured Jabugo chorizo, it provides more flavour to all recipes and, being spreadable, it is easier to use, mix and cook. 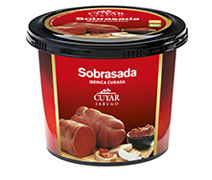 > Try adding a couple of spoonfulls from the chorizo tub to potatoes sauttéed with egg. 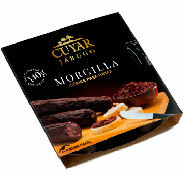 > Prepare stuffed ravioli, lasagne or cannelloni with ricotta (cheese curds) and our chorizo. 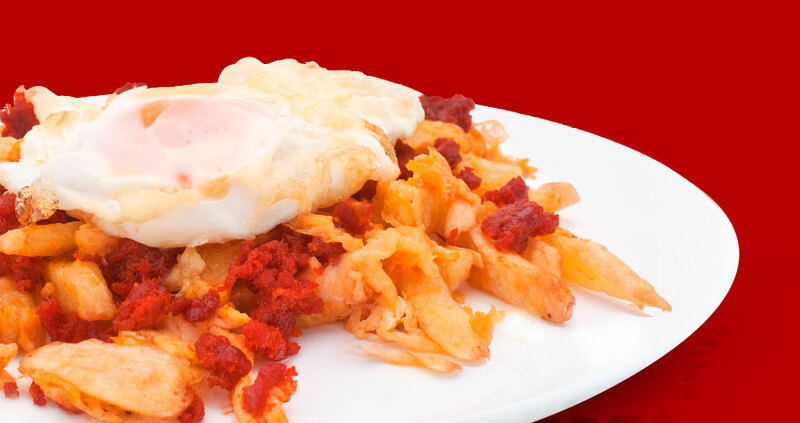 > Also for spaghetti and macaroni with Spanish passata (tomate frito). 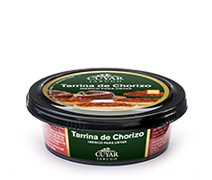 > Use portions of chorizo tub using the chorizo as topping for a marvellous pizza. 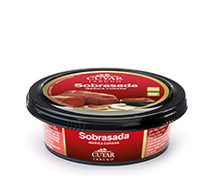 > Create surprising sauces by adding milk or cream to the spreadable chorizo tub. 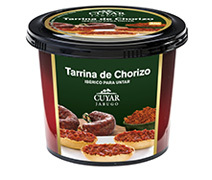 > Add a few spoonfulls of chorizo to your stews or casseroles.